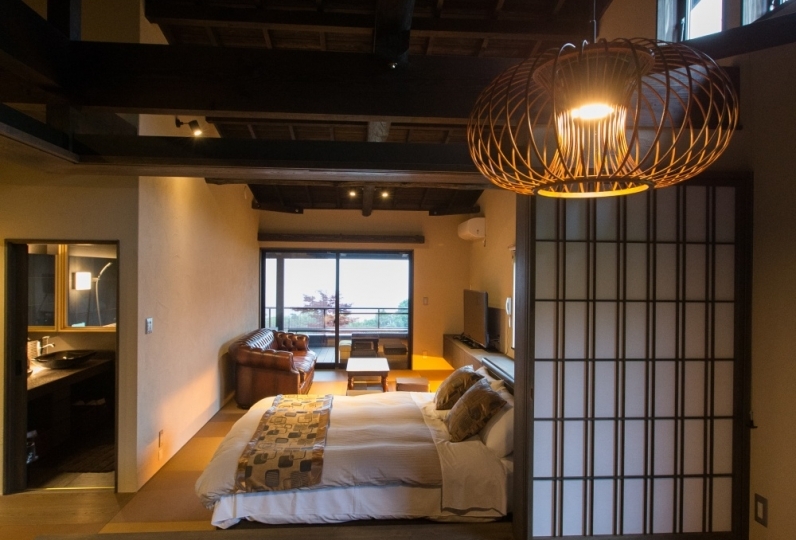 "Nasubi no Hana" is a spa-inn with 6 warming guest rooms. We welcome our guests with an "omotenashi" spirit tending to each person in order to create a warming atmosphere away from the daily life. Each room decorated in traditional Japanese colors and tasteful furniture, create a comforting environment to spend with your loved ones. You may notice the thoughts of our staffs in the smallest details. 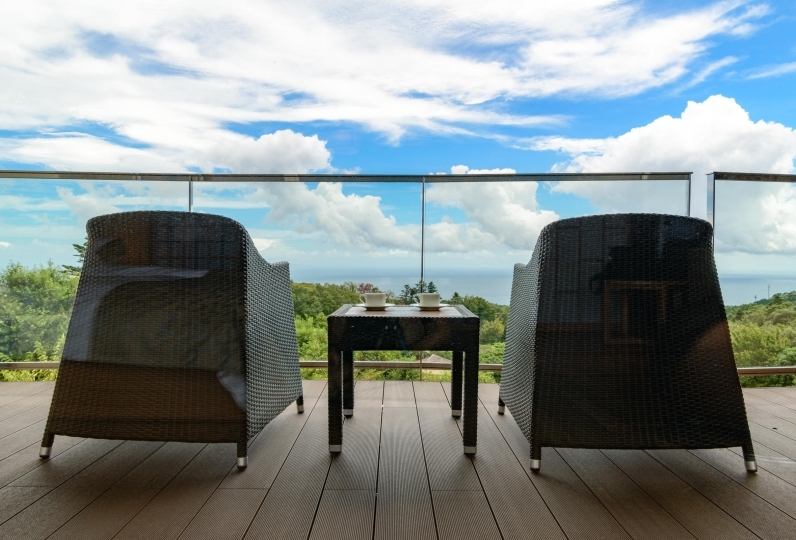 Once you step out to the terrace, you will be embraced by the beautiful panorama of the 7 Izu Islands on the far waters and the dynamic nature rich in greens. We hope you will enjoy a luxurious time of your choice by having deep conversations, chatting, or perhaps by being absorbed in reading. 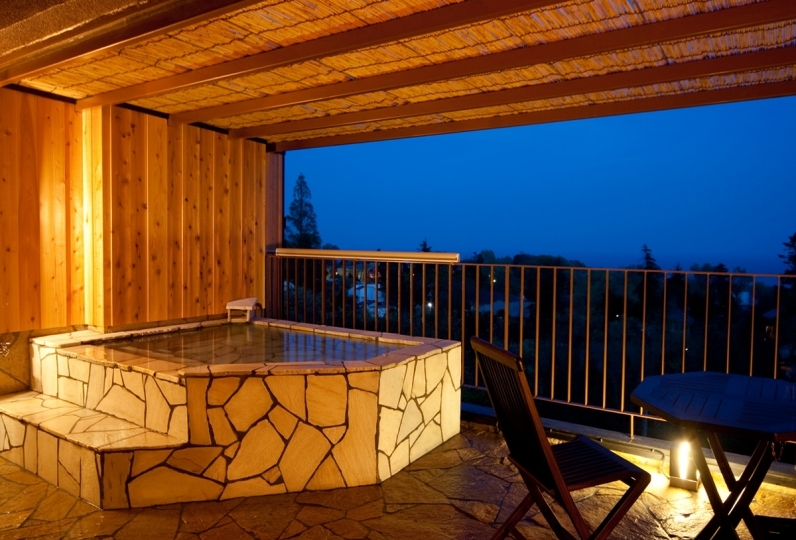 There is also a roten-style hot spring with a great ocean view in the terrace of each rooms. You can share a precious moment relaxing in the bath with your loved ones too. For dinner we offer a fusion Kaiseki-style cuisine using Izu's 3 best ingredients and local nourishment. To deliver a heartwarming dining experience, we choose traceable local products, which are not only prepared with care by the Chef but also thought through until served. From the restaurant as well you can enjoy the spectacular view of the ocean and the Izu Islands. 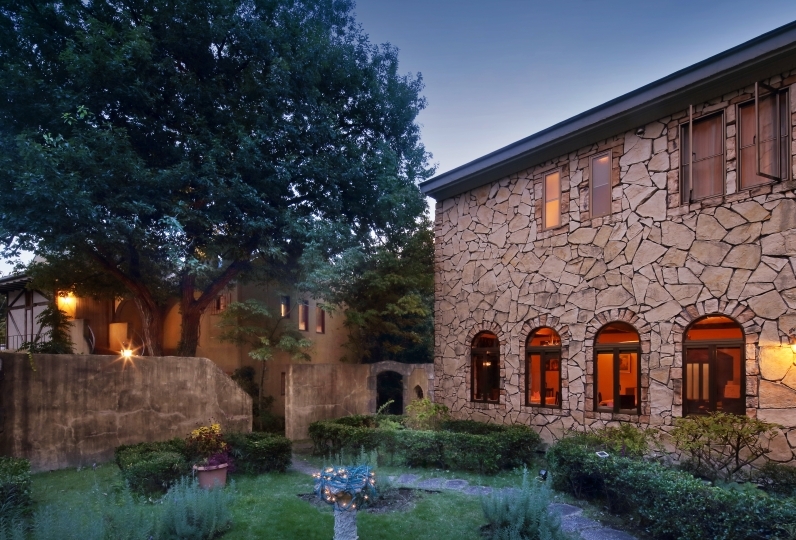 At Nasubi no Hana we offer an extra luxurious stay with thoughtful services and heartwarming atmosphere. 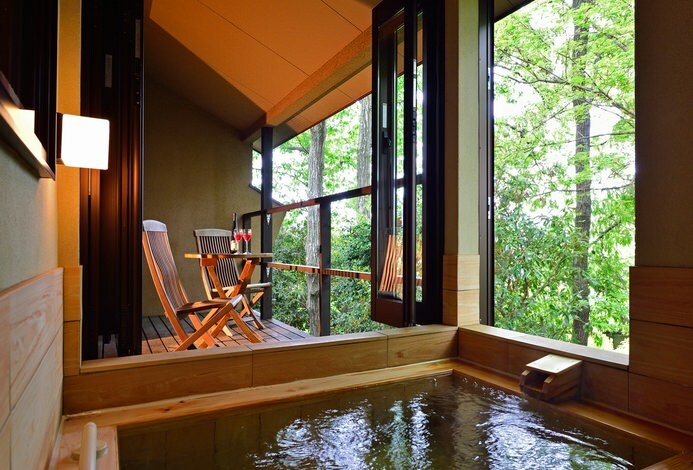 Please come spend a warm comforting quality time with someone special at our spa-inn, Nasubi no Hana. It was very good staying at this hotel this time! ! I want to use it again! We used for monthly couple travel every month. 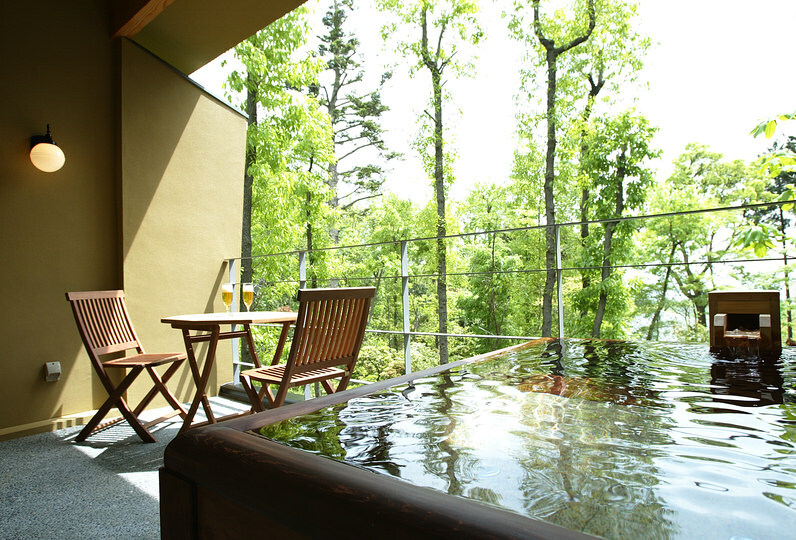 The room with the open-air bath has the best view, and of course the view from the open-air bath was also the best. 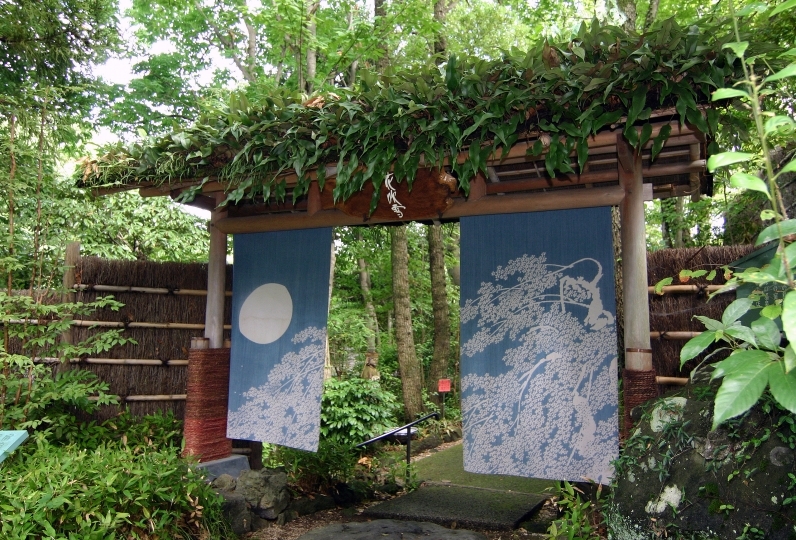 We were able to enter the hot spring of open-air bath relaxedly with two couples and was able to relax. Everyone in the hotel was very kindly aware and was able to spend comfortably. Also I would like to be indebted if there is an opportunity. It was very helpful for me to carry my luggage, to cook, to carefully explain the room. Both the room and the bath were very well and I was able to relax very much. Thank you very much! I would like to use it when I come to see you again. 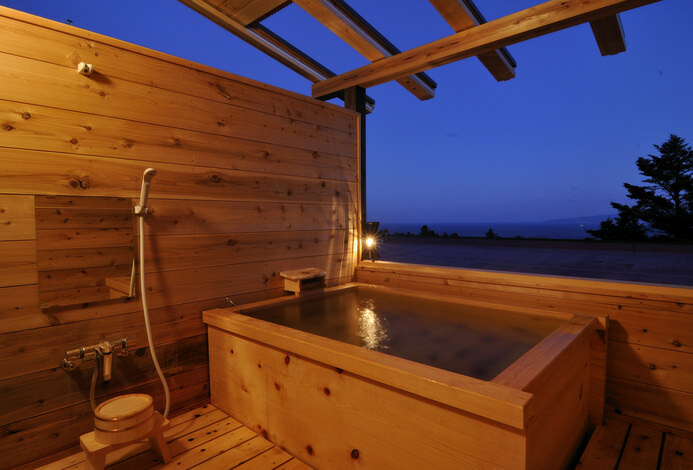 All rooms are equipped with a private spa looking over the ocean and the 7 Izu Islands. Please come and enjoy the rich spring of Itō Onsen known as the "beauty spring" and spend a comforting time feeling the seasonal breeze. Esthetic treatment - Offering 2 course of relaxation therapies through aroma oil massage or lymph drainage massage. In guest rooms. * Free shuttle service available between Izu Kōgen Sta. and Nasubi no Hana (must reserve in advance). - The departing time may change depending on number of passengers (max. 6 persons). - The bus is shared with our sister-hotel, please make sure to book your seats in advance.